Book Vault | The bookstore with so much more! The bookstore with so much more! 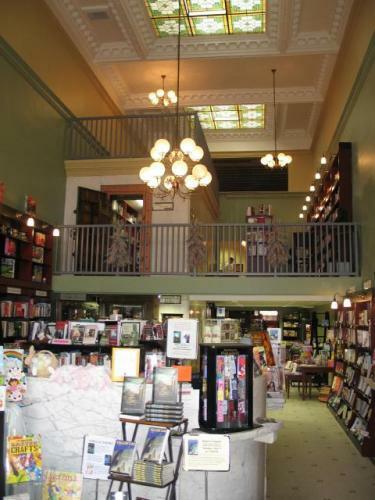 The Book Vault is a premier, full-service, independent bookstore serving southeastern Iowa with first-rate customer service, quality book selection, unique gift items, engaging events, cooking demonstrations, and welcoming ambiance, all offered in a beautifully renovated historic downtown building at 105 S. Market St. in Oskaloosa, Iowa. Book Vault Online Shopping: We're Open 24/7! We hope you enjoy the ease with which you can search for, view, and order books on our site. Take your time to browse and shop in the comfort of your home or anywhere you and your laptop travel. As always, online orders totaling $50 or more receive free shipping. You can also choose to pick your order up at the store during our regular business hours.Thank You for shopping at Book Vault, the bookstore with so much more! If you have difficulty accessing content on this website, please contact us at 641-676-1777 and we will strive to assist you in accessing our website.